The Charge 3, Fitbit’s newest entrant into its venerable tracker lineup, brings meaningful improvements to the line without spoiling the formula. A refreshed design, improved screen and water resistance make the Charge 3 a contender for many people’s wrists — and for a good reason. Fitbit’s software is as good as ever. Fitness tracking is accurate and informative. Checking in on your progress is simple and never demeaning. The tracker is welcoming and enthusiastically congratulates you when you complete your goals. However, the Charge 3 isn’t perfect. One could argue that these improvements should have been on the Charge 2, and the software has its flaws. All-in-all, the Charge 3 is iterative. While those iterations may bring features dedicated Fitbit users want, they might not be enough to justify its position just below the Versa. One of the most significant changes in the Charge 3 is the new frame. It ditches the stainless steel of the Charge 2 for an aerospace-grade aluminum frame that’s 20 percent lighter than previous models. My review unit sported the graphite colour, which looks sharp without standing out. I’m not a fan of large, garish watches and the Charge 3 was ideal for me. It looked good on the wrist and didn’t clash with what I wore. The new frame also brought a coveted feature to the Charge 3 — water resistance. 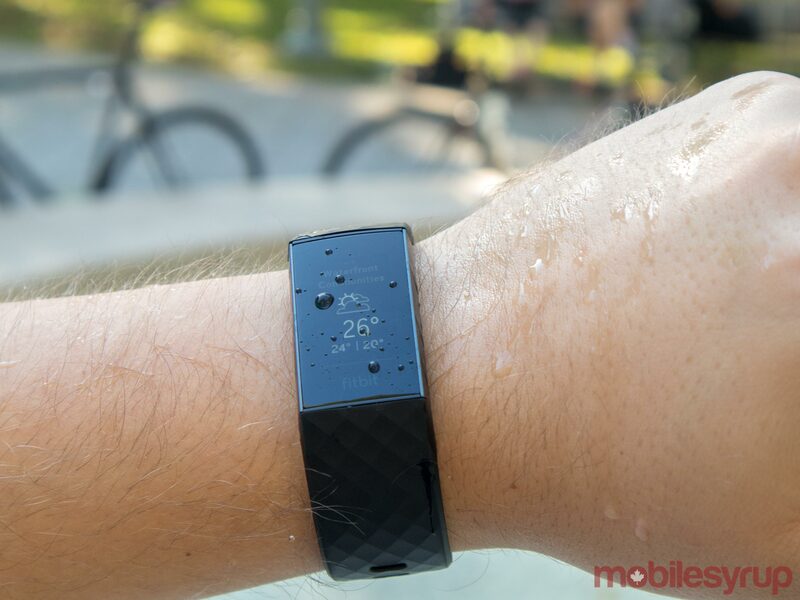 Fitbit rates the device for up to 50 metres of depth in water. Even for non-swimmers, it is a welcome addition. Water resistance gives a peace-of-mind when using the Charge 3. For me, I find wearing any piece of tech on my wrist a journey in paranoia. Watches and bands tended to get caught on things and smashed on walls and doors. They also get splashed when I wash my hands or cook. Water resistance gave me one less thing to worry about. Part of the move to water resistance meant Fitbit had to abandon the traditional side button. However, the new ‘button’ is a more than adequate replacement. The inductive button works similarly to the home button on the iPhone 7 and 8. It has no moving parts — the only indication that there’s a button is a slight indent on the left side of the watch. When you press it, the device vibrates. Unfortunately, it isn’t like the haptic feedback in the iPhone. It doesn’t feel clicky, but the buzz is enough to let you know you’ve pressed the button. While some might mourn the loss of a physical button, I found I didn’t miss it. Plus, pressing the side of the watch felt futuristic to a degree. As a trade-off for water resistance, I think it’s a no-brainer. 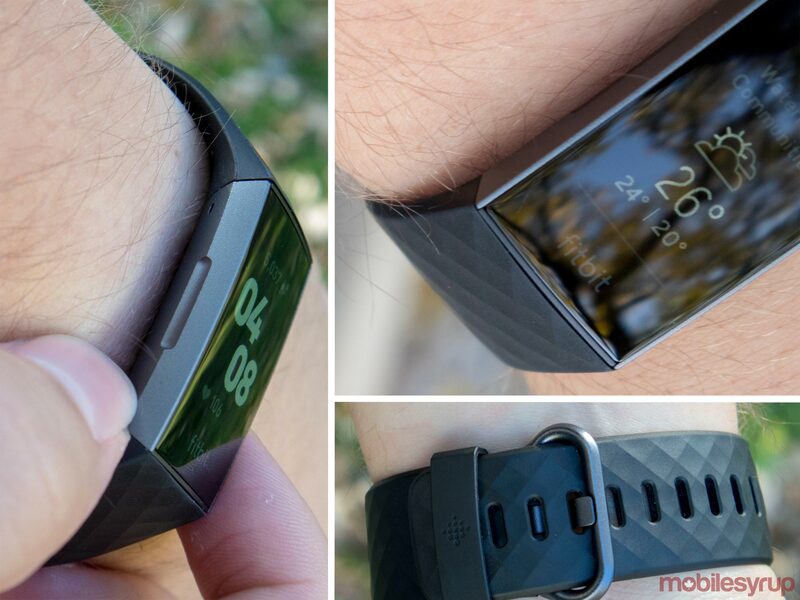 The 3 also sports a ‘classic’ Fitbit band — unless you go for the Special Edition which comes with a perforated band. I had the classic strap in black, which I found to be comfortable. However, it’s also quite stiff, which can make putting it on difficult at times. Thankfully, the excellent battery life means I haven’t had to take it off much. The new clasp is aluminum as well. However, it feels slightly cheap and plasticky. Additionally, its shape contributes to the difficulty of putting on the device. The bands also feature a simpler removal mechanism. On the inside of the strap, where it connects to the Fitbit, there’s a small button. It’s easy to click with your nail, and the strap pops off with ease. It’s a strong hold too, with no fear of it coming off by accident. However, I noticed a large amount of dirt built up in the crevice between the band and the watch after almost a week of light use. I can only imagine that build-up gets significantly worse when coupled with more sweat-inducing activities. That fancy new frame encloses a new display. 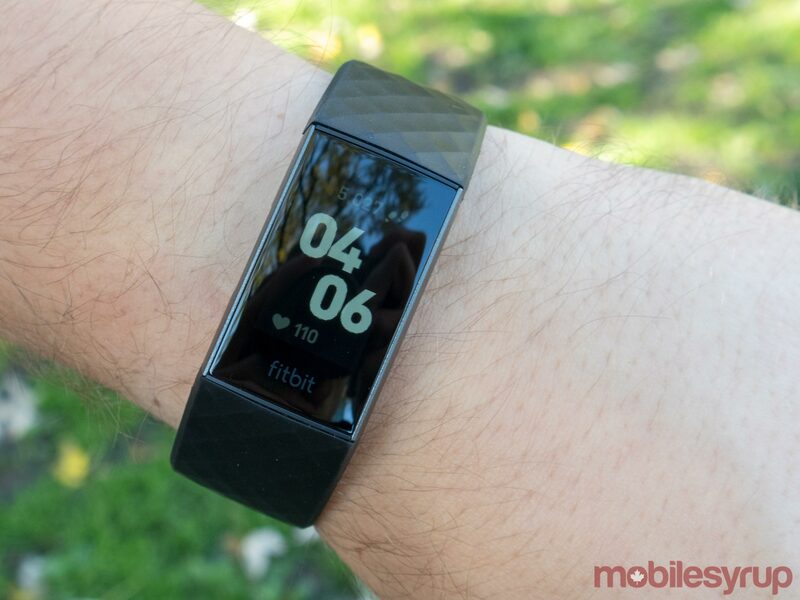 Fitbit says it offers 40 percent more active screen real estate than the Charge 2. Furthermore, Fitbit says it’s 40 percent brighter than before. Along with more active screen area, the new screen is touch-based instead of tap-based. That means you can swipe around the various screens instead of tapping to cycle through them like the Charge 2. It makes using the watch more intuitive. A tap on the watch — or a press of the inductive button — brings the OLED screen to life. Like the Charge 2, it’s monochrome. It’s also not the highest-res screen, but everything is still readable. The main screen shows the clock, your step count and your current heart rate. Swiping up on the clock screen shows your current battery life, your steps, heart rate and plenty of other data the watch has collected. As you swipe through, you can see the distance you’ve walked, calories burned and more. Pressing the inductive button takes you back to the main screen, where you can swipe down for notifications. I kept these restricted to just call notifications. While some may enjoy glancing at their wrist to see what’s happening on their phone, I found the vibrations to be too strong. With no way to disable vibrations, the feature was just too annoying to use. Settings allow users to set the vibration strength to ‘Normal’ or ‘Strong,’ but I found there was no discernable difference between the two. It’s worth noting that you can customize which apps send notifications to the Charge 3 in the app. However, it’s just on or off again. This allowed me to limit notifications to just important apps, but ideally there would be further customization. For example, an option to limit text message notifications to just starred contacts would be an awesome addition. To the right of the clock screen are three screens users can swipe through to access other features. Exercise guidance and the ‘Relax’ guided breathing is on the first panel. Another swipe brings timers and alarms. A third brings weather and settings. As far as Fitbit’s claim that the display is 40 percent brighter, it undoubtedly is brighter. Too bright, in fact. Wearing the watch to bed was quite annoying. The screen features an ‘auto-dim’ setting that supposedly reduces brightness at night or in the dark. However, I found it didn’t really work. At least, I couldn’t see a difference. For a device designed to wear when sleeping, it is remarkably distracting. I tend to roll around a lot before settling to sleep, and motion causes the screen to light up. Even set to ‘dim,’ the screen was like a miniature sun on my wrist. Granted, if you press an hold on the inductive button, you can access a toggle to turn of the ‘lift to wake’ feature. However, having to turn this off manually every night feels dated — Fitbit should have a built in night mode that does this automatically. I ended up leaving it on dim for the entirety of my time with the Charge 3. It never hampered my ability to view the watch outdoors. Beyond fancy new displays and frames, the Charge 3 features new internals too. For one, a new Sp02 sensor, which comes from the Ionic and Versa smartwatches, enables more accurate breath monitoring. The sensor can detect breathing disturbances that can indicate conditions like sleep apnea. Furthermore, the Charge 3 will get a more robust ‘sleep quality’ measure called Sleep Score. The feature will be out in November and will use the tracker’s heart rate tracking to determine the quality of your sleep. Along with the new sensor, there’s an NFC chip as well — if you get the more expensive Special Edition. 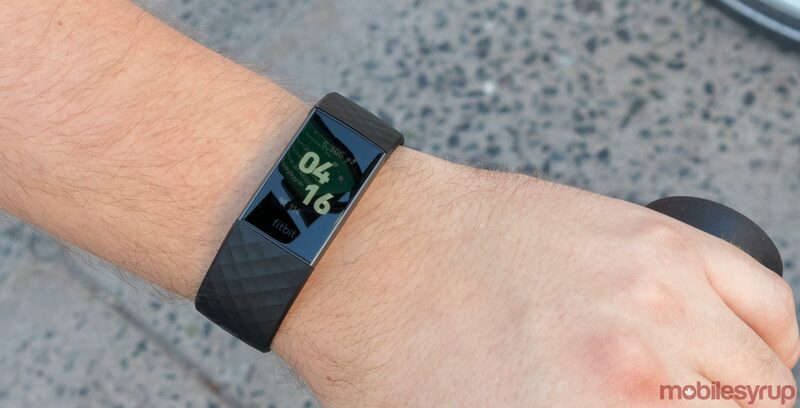 The NFC chip enables Fitbit’s Pay solution so you can tap with your wrist. 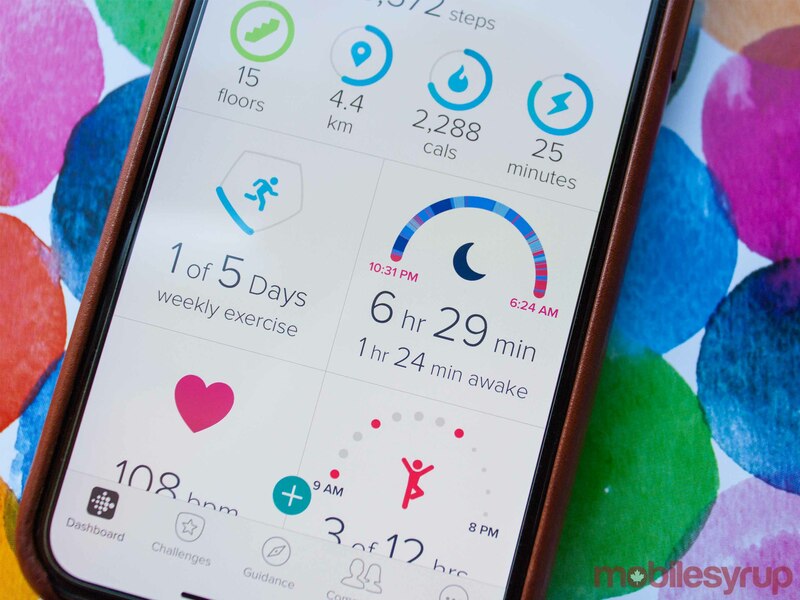 However, Fitbit Pay is still relatively limited in Canada, with support for only ATB Financial and Brim Financial (through Mastercard) and RBC Royal Bank credit cards. Tracking is improved and expanded as well, with new options like a ‘female health’ tracker that provides information related to menstrual cycles on the wearable. Fitbit’s tracking is robust — why can’t I share that data? Fitbit’s software solution is quite good and offers plenty of useful options. Nothing has significantly changed since the Charge 2 came out — it’s still the simple dashboard that gives you quick access to common and vital stats. Furthermore, Fitbit partners with plenty of great third-party apps to bring in more data to aid in fitness tracking. For example, you can connect apps like MyFitnessPal to feed nutritional data and calorie intake into Fitbit. This helps Fitbit suggest workouts and guide your fitness goals based on your diet. However, Fitbit refuses to partner with two essential apps — Apple Health and Google Fit. For me, being able to sync data to, and more importantly from, Apple Health and Google Fit would improve my experience with Fitbit exponentially. Before using the Charge 3, I had a Nokia Steel fitness tracker and a Nokia smart scale to go with it. As much as I enjoyed the Steel, I found that I enjoyed the extra features in the Charge 3 and was ready to switch over permanently. However, I don’t want to upgrade my scale yet. Nokia’s health app works with Apple Health and Google Fit, meaning I can sync my weight data from Nokia with those apps. But Fitbit’s lack of compatibility with those platforms meant I couldn’t pull the data to the Fitbit app. While it makes sense from a business perspective — Fitbit makes smart scales too — it’s incredibly aggravating as a user. It’s my data, and I should be able to sync it with the platforms that I want. Select photography by Bradley Bennett. Update 13/10/2018: Clarified a few details regarding the Sleep Score feature and Sp02 sensor, notifications and brightness settings. Also added more detail about differences between the Charge 3 and Alta HR. The Fitbit Charge 3 is many things. A great fitness tracker, a reliable heart rate reader, a nice-looking multi-function watch. But it isn't a smartwatch. At $199.95, maybe it doesn't need to be. But considering the other options out there, like Fitbit's Versa at $249.95, the Charge 3 seems a tad out of place. If you're looking for a great fitness tracker, the Charge 3 is a good option. But right now, I don't think it's the best option. For only little more, the Versa offers a better screen coupled with more smartwatch-like features along with the same excellent fitness tracking. On the other end, you have the Alta HR, another great fitness tracker from Fitbit with the same seven-day battery life and similar tracking features as the Charge 3. For $129.95, the smaller screen and slimmer package are easy compromises. 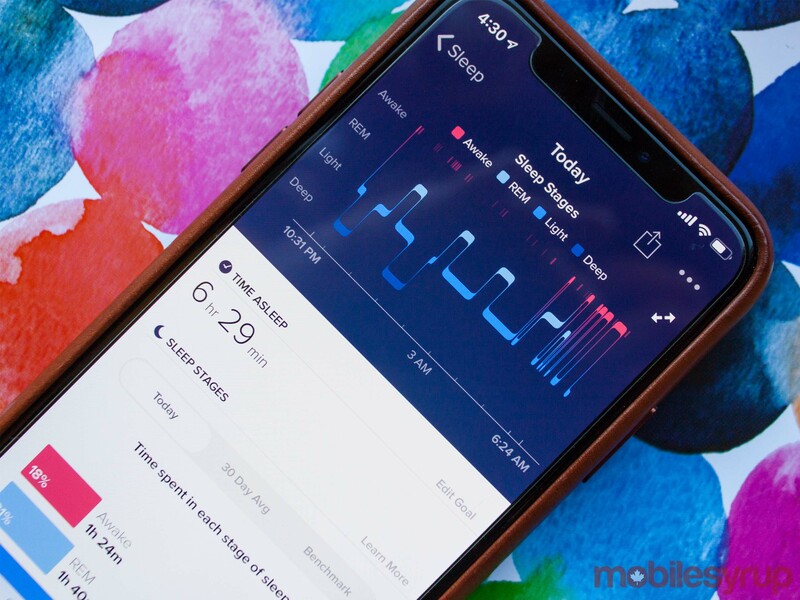 While the Charge 3 does offer some more robust tracking options, like water resistance, goal based exercise modes and guided breathing exercises, those extras may not be worth an additional $70 for most people. Ultimately, the Charge 3 fits a small niche for people who don't want a smartwatch but want the most advanced fitness tracker. If you're using an older Charge device, the 3 is a solid upgrade, but you'd still be better off with a Versa, which gives you the most features for your dollar. "Fitbit's other products shrunk the space for the Charge 3. Considering all the options, there isn't a compelling reason to get a Charge 3 over a Versa or Alta HR."